LED lighting is better every day and the best designers in the world have come up with some beautiful and stylish lamps for use at home or in the office. Here’s a list of several designs ranging in price from about $130 to $740. Depending on what you need in a table or desk light, perhaps one of these will suit you just right. 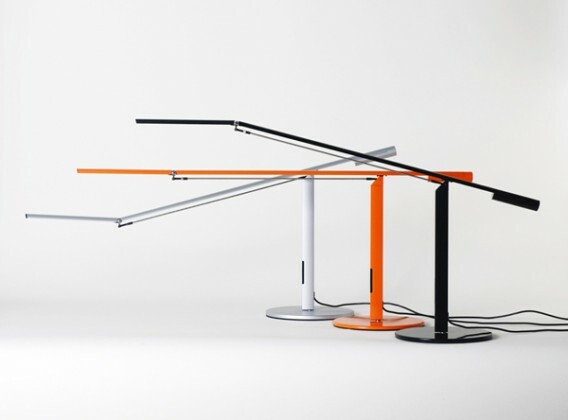 [+] Eight Modern LED Desk Lamps for the Home. Hope you’re enjoying the weekend. This month we started toying with Google+ and added the +1 button to individuals articles. In terms of our new articles, the most shared one on Facebook was about a solar-powered shed, while the most shared one on Twitter was about the Modern Living Showhouse prefab. If you have something you think would fit on JetsonGreen.com, send us a tip. Below is an outline of July coverage. Tiny house has everything you need. Energy-efficient lighting and room color. Conserve water with a free water audit. Build healthy forests by building right. Finding jobs in energy efficiency. On the road to sustainability. Subscribe to our weekly newsletter for updates, article summaries, newsworthy links, and other site news. 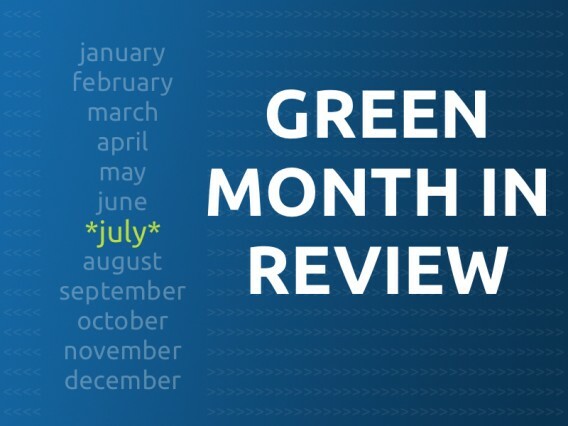 Also, check out the latest green jobs in our list. Helios is an Eco-Trailer from King Kong Production Vehicles, a company that provides trailers and motor homes to the entertainment industry. 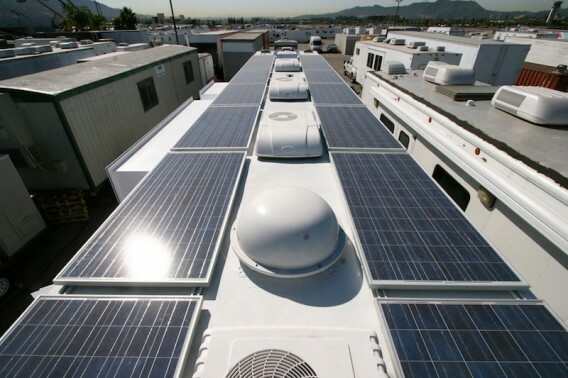 The company claims this is the world’s first solar hybrid production trailer and expected to be “the most advanced Eco trailer with the least impact on the environment,” according to a press release. California-based Modwalls now has ModRocks in stock. 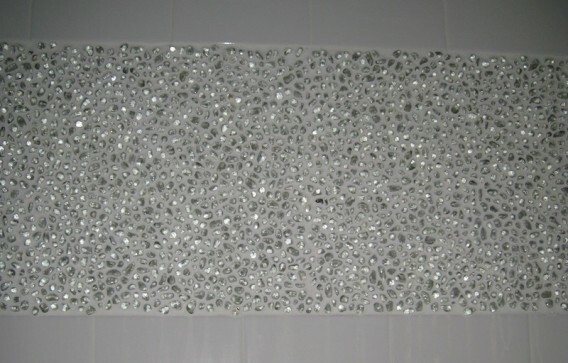 The product is made with 100% post-consumer recycled glass on a mesh backing. A single interlocking sheet (12″ x 12″) has ~1024 pebbles, each with a diameter of ~0.39 inches. 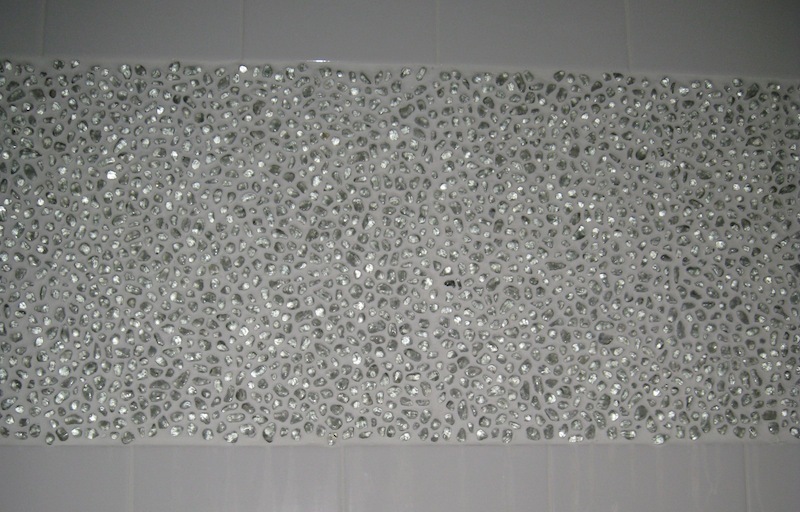 The pebbles come from crushed consumer bottles (no melting required), and ModRocks can be used in residential or commercial applications in both wet and dry areas. One sheet is $25.95. This is the Vancouver Airport Home, or the Hotchkiss Residence, located along the Columbia River in Vancouver, Washington. 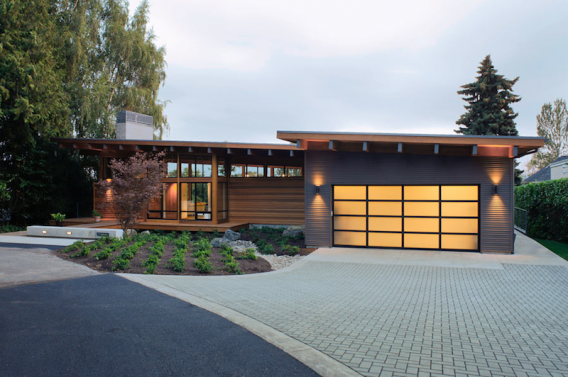 It was designed by Rick Berry of Scott Edwards Architecture and built by Hammer & Hand for retired couple in need of a single-level, one-bedroom abode. The owners have lived on the site for 40 years and the existing structure was recycled prior to building this one.